I've been really lax in getting posts up,but it's been pretty busy of late.We had some more pretty nice weather, so I've been back down to Reifel totake some pictures of the birds. The snow geese are back,so that's always an attraction. They seem to be here in huge numbers this year. With the end of fall, the colour is starting to come to an end. This year has been amazing for colour in the leaves. Blast off! 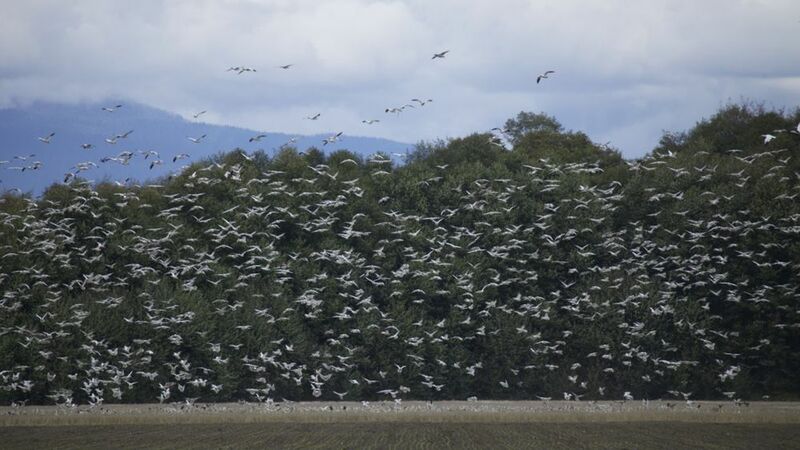 A flock of snow geese blast off from a field. There were lots of small song birds out looking for a handout, but the wood ducks as usual, steal the show when they stick around.